Whether between partners in life or partners in business, disagreements are inevitable. As with those in life, some business relationships become irreparable, ultimately leading to a business divorce. This is a term used to describe a situation where partners split for one reason or another, often resulting in lengthy and expensive litigation. Many who have suffered through such an experience often compare it to a matrimonial divorce, without the arguments over the family photos and the dog. Divorcing business partners can be just as vindictive as scorned spouses. Often times, the buy-sell agreement is the prime litigation target in business divorces. Both parties critique this document in an effort to identify potential loopholes, assert ambiguity in its terms, make claims involving financial irregularities and even allege fraud. Commonly, a wealthier partner may try to use his or her additional resources to intimidate the opposition into capitulation or to thwart relationships with key third-parties such as vendors and lenders. An inadequately drafted buy-sell agreement can lead to ensuing legal battles and costly mistakes. This risk further illustrates the importance of having a buy-sell agreement that protects your interests should predictable and unpredictable events arise during the company’s lifecycle. Consider having such agreements reviewed by a qualified independent third-party prior to signing; this simple step could save you significant amounts of time and money down the road. These experts should also review the agreements in conjunction with other corporate documents to ensure there are no conflicts. Which provisions of the buy-sell agreement should each partner be most concerned with? Like many aspects of business, certain buy-sell agreement provisions may be open to multiple interpretations. However, certain key provisions of the agreement warrant additional attention given the consequences and repercussions that often result when improperly addressed at the onset. Provisions involving governance, buy-out factors or formulas, valuation tools and succession/estate planning should be crafted carefully, with a forward-thinking focus on the myriad of unknowns that potentially lie ahead. It is critical that an organization’s governance policy be clear to each partner from the beginning. What happens if a dispute arises among the partners or if one partner dies? Is there a provision in the agreement to handle a business decision in deadlock? To what extent should control be exercised by a former partner’s executor or a trustee? The answers to these and other often overlooked questions should be addressed in a clear and concise manner within the buy-sell agreement. Death and disability are typically the buy-out factors that appear in standard agreements, but are these enough in today’s business environment? Should a partner’s personal bankruptcy or felony conviction be considered for this purpose? What about a partner’s matrimonial divorce? Could these factors have an impact on the business? They sure can, and therefore should be considered when the agreement is drafted. Who will foot the bill for the expenses associated with having a valuation performed on the company in the event of a business divorce? Which funding sources other than the company’s cash flow can be used to pay for such services? Occasionally, life insurance policies for the partners are purchased by the company to provide another source of funding under these circumstances. Most agreements contain provisions permitting the business or another partner to acquire a deceased partner’s interest. 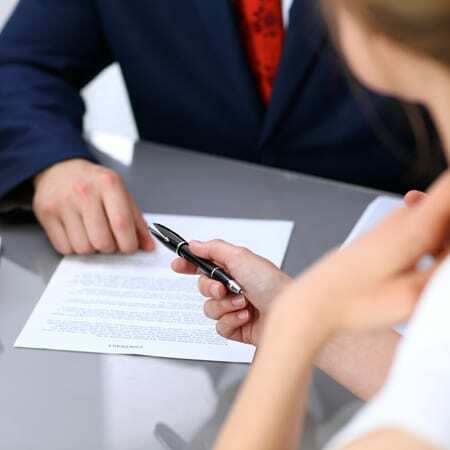 Similar agreements may allow a partner to transfer his or her interest in the company to a trust, or to other estate planning or financial vehicles. In those cases, the trustee becomes the partner and the company is left with nothing more than a stakeholder with no productive role to play within the organization. To avoid these potential situations, estate planning provisions should be drafted with advanced preparation and clarity. What should a partner do if a business divorce is unavoidable? Consulting an experienced attorney with a background in business disputes is a good first step. Next, partners should reacquaint themselves with their agreements so as to not make unreasonable demands that are clearly prohibited and to ensure they continue to operate within its bounds. Reviewing the agreements will also help you to decide which parties are in compliance or whether a breach has occurred. In order to be cost-efficient, know the location of important business documents or have copies readily available. Pay attention to the impact of the business divorce on third-parties such as customers, suppliers, distributors, lenders and vendors. The viability of the company is often dependent on maintaining solid relationships with these third-parties. Be aware of any potential tax implications and resulting issues, particularly if your entity was formed as a partnership, limited liability company or similar alternative. A threat to dissolve the company or abandon the business might sound like a good strategy in some cases, but unanticipated tax implications at the partner level can arise, which could place an unwelcomed tax burden on you. If you have any questions or would like further information please do not hesitate to contact me at fpina@mercadien.com or 609-689-9700.